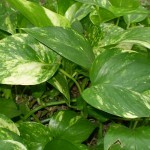 Philodendrons are very popular plants that are terrifically easy to grow. 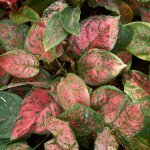 These plants are jungle plants native to the West Indies and the South and Central Americas. Because they are jungle plants, they tend to like warmer temperatures and the low light conditions that exist on the jungle floor. They also like to be misted, but the plants aren’t fussy at all; they don’t have to be misted. One interesting thing about philodendrons is that if they are perfectly cared for, some of them flower. Typically, we do not care for our philodendrons in a way that results in flowering. The name philodendron comes from the Greek words for “love” and “tree” and might literally be interpreted as “tree lover”. This name is appropriate for several reasons. One reason is that people tend to love their philodendrons. They live long long lives and after years with a plant, some people start to feel real affections for their plants. The other reason that the name is appropriate is that most of the philodendron species feature heart shaped leaves. Picture one of the giant philodendrons with leaves made of three feet hearts. “Love tree” seems to be a fitting title don’t you think? People sometimes refer to philodendrons as “philos”, which literally means love. 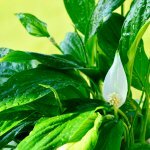 It is hard to say what the typical philodendron looks like because there are over 200 species of philodendron, and they all differ in important aspects such as size, leaf shape, color and even plant type. There are philodendron trees, philodendron bushes, philodendron climbing vines, and philodendron plants. However, all plants can be identified as either climbing or non-climbing types. 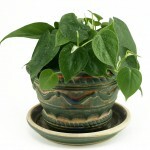 In general, the climbing types are good houseplant and do very well indoors as long as they have something to climb on. The non-climbing plants are often seen in arboretums and public gardens. These plants get enormous. The one at the conservatory at Golden Gate State Park is over thirty feet high! These giant species aren’t typically grown indoors; however, you might see one in a place with a lot of room such as a hotel lobby. One important thing to know about the philodendron is that it is toxic. Isn’t that ironic? The love plant is toxic. Hmmm. Anyway, all portions of the plant contain a toxin that, if chewed, will result in burning and swelling of the mouth and even the esophagus. The plant is toxic to both humans and pets, and house cats are semi-notorious for being poisoned from eating philodendron leaves. While fatalities are extremely rare, they do happen so it is best to keep all philodendrons out of the reach of children. It would be a terrible tragedy to allow a child to be poisoned by your houseplant. If a child does eat a leaf or any other portion of the plant, notify poison control immediately. You already know that the philodendron is a low maintenance plant that doesn’t need much light. 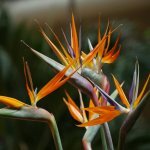 However, there are still a few things that you should know about the proper care of philodendrons. One thing to know is that they do best in rich, organic potting soil that drains well. Another thing to know is that your plant will grow best if you wipe off the leaves from time to time. House dust clogs the pores in the leaves and leads to stunted growth. If you remember to wipe the dust off the leaves, you will have better growth. The other thing to remember is that the plants cannot handle the cold. They are quite susceptible to frost so, if you put them outside in the spring, make sure that you have had your last frost. Bring the plants back in before the first frost in the fall.